11am-1:30pm, 5pm-8pmFreeOne child 12 & under per paying adult. Lunch: $8.64Dinner/Weekend: $9.63Must be 65 years or older. Cannot be combined with other offers. Regular Buffet Hours$7.99Must be 65 years or older. Cannot be combined with other offers. Craving something legendary? 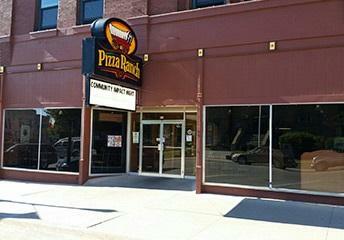 Come on over to Pizza Ranch in Harlan! You’ll find savory pizza, The Country’s Best Chicken®, and more on our Buffet Your Way®. If you don’t see your favorite pizza, we’ll make it fresh and bring you the first slice. We’re minutes from Harlan Community High School and Prairie Rose State Park. Come see us after working up an appetite—and bring the crew. Our party room seats 48, so there’s plenty of room and fixin’s for everyone. Join us for Community Impact events to support local causes like Avoca Specialty Care, or talk to us about hosting your own! Staying in? Call in or order online, and we’ll deliver! Great customer service and food. 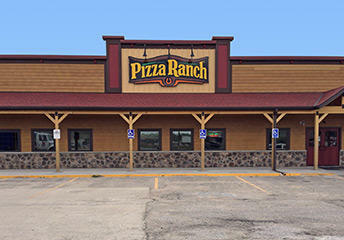 I haven't had a bad experience at the Harlan Pizza Ranch in the 13 years. The restaurant was clean and inviting. The employees were friendly and kept the food well stocked at the buffets. We definitely would go back. Great Service - great food. I wanted to use my $5.00 birthday money and couldn't for some reason.